Ms. Sonya Abrahamyan ia a highly talented and one of our most knowledgeable Tour Guides in Armenia. She speaks English, Armenian, Russian and Russian. Sonya Abrahamyan was born and grew up in traditional Armenian family. She had a great passion to sharing the cultures, traditions of her homeland with others. 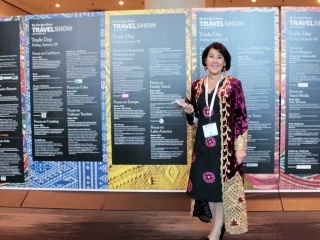 After graduating from University with the degrees in languages and after taking the courses of license of tour guide she started working as tour guide and manager for travelers coming from around the globe. She loved photography, crafting, walking and traveling. If you need a good restaurant with authentic cuisine, a special bottle of wine or off the beaten path – Sonya is your person to arrange it all.